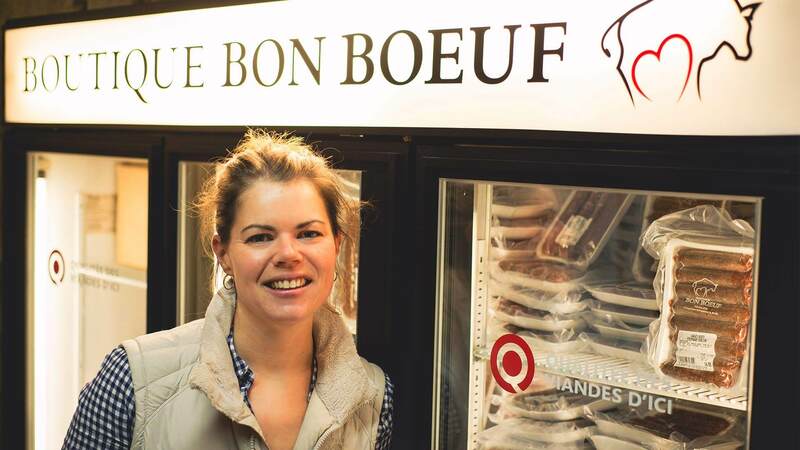 Welcome to Boutique Bon Boeuf, located on the family farm. 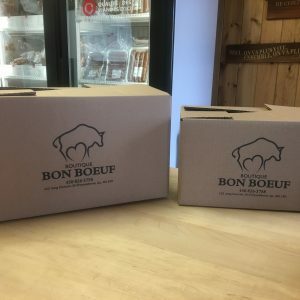 Come discover our tender and tasty beef and baby beef. We raise Angus cross cattle and take pride in the genetic quality of our herd. 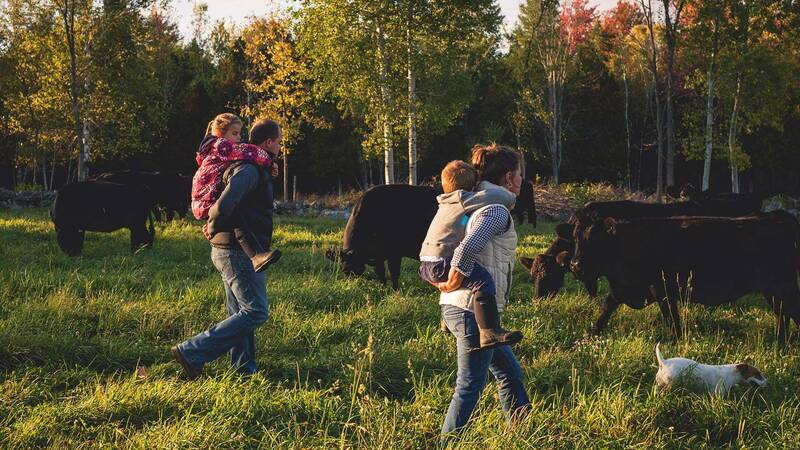 Our beef and baby beef are grass-fed and finished on pasture, hay and corn silage. We do not use growth hormones, and the feed does not contain any antibiotics nor GMOs. 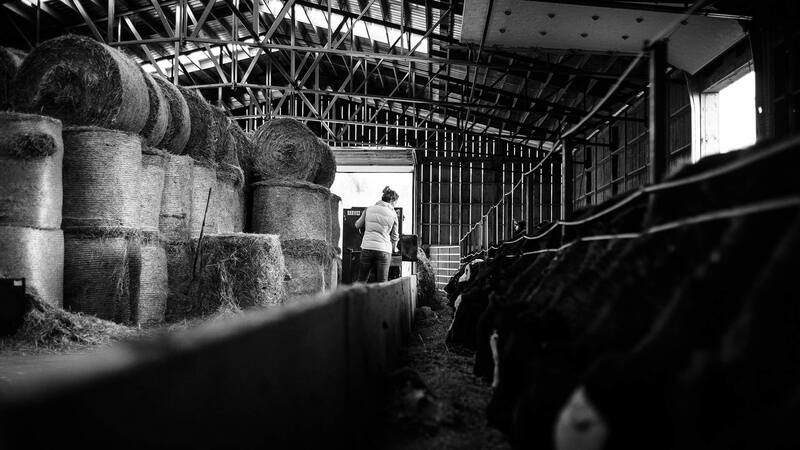 We believe in being environmentally responsible and sustainable and in raising our cattle as nature intended, with the strictest attention to the well-being of the animals. 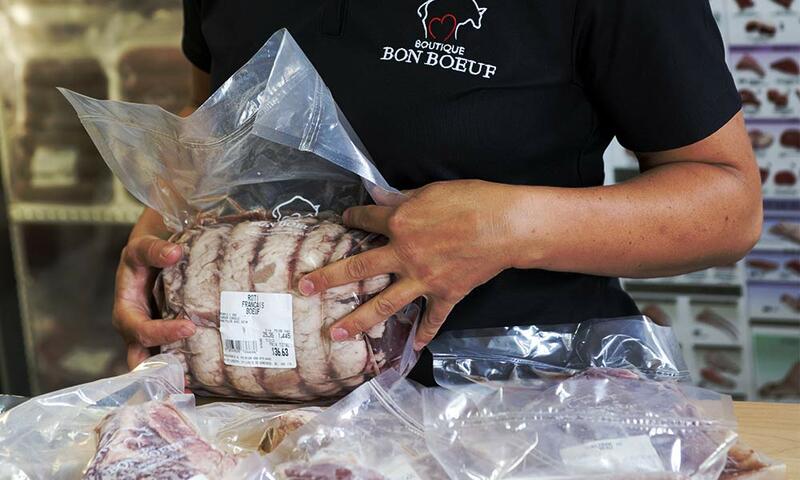 Cuts are available individually, in family packages or, for greater savings, in ¼ or ½ sides of beef. Stop by our store and support locally raised beef! and, for greater savings, in 1/4 or 1/2 sides of beef. Simple and flavourful beef recipes for you and your family to enjoy!